With bikini season looming on the horizon, many women are turning to drastic measures to get their bods beach-ready. But when your trusty magazines feed you sketchy slimming tricks like "stop swallowing air," what's a woman to believe? "I always tell my clients that if any of this actually worked, it would be the cover story everywhere," says Betty Kovacs at the New York Obesity Research Center's Weight Loss Program in St. Luke's-Roosevelt Hospital. Kovacs and Self magazine's diet and nutrition editor Erin Hobday weighed in on eight of the most outrageous ideas in weight-loss in order to separate the "fat" from the fiction. WEIGHT-LOSS LIP GLOSS: A second on the lips, a lifetime on the hips? No more! Too Faced Fuze Slenderize lip gloss ($18.50 at www.sephora.com) promises to help shed pounds while plumping your pout. The guilt-free gloss is infused with chromium and L-carnitine, believed to curb cravings and boost energy. 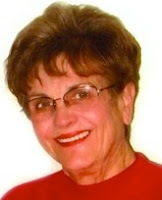 "I have absolutely never heard of that," says Betty Kovacs. "Through your lips? No." AIR MAKES YOU FAT: Stop swallowing air. Yes, you heard that right. A recent In Style story suggests that all those additional air bubbles you consume while chewing gum, taking big bites or sipping carbonated drinks fills your stomach with air. "I assume it means that you're getting bloated," says Hobday, "but you're not going to lose 10 pounds by not swallowing air." OVERNIGHT SKINNY CREAM: Better yet, lose while you snooze. 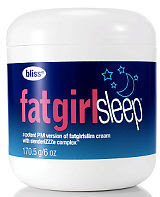 The potent body balm Fatgirlsleep by Bliss ($38 at www.blissworld.com) promises to fight flab and diminish dimples overnight with red algae extract, moisture binders and their encapsulated "slenderiZZZe" complex. "There's no physical way," says Kovacs of the balm. But don't underestimate true beauty sleep. "Lack of sleep can be associated with obesity," adds Erin Hobday. "Getting a good night's sleep is going to help." SMELL DIET: Take the bite out of cravings with Bath & Body Works Instant Aromatherapy Crave Relief ($10 at www.bathandbodyworks.com). Roll on the fragrant grapefruit and sweet fennel essential oils to stave off hunger. "The only time I would use smell is if somebody was walking by a bakery, and they're smelling stuff," says Kovacs. "Put some lotion on your hands to replace the smell, not as a way to curb an appetite." BODY OIL: Another appetite controller, SLIMShots ($80 at www.slimshots.com) boasts its users eat up to 30% less a day. The single-serving shots of natural oat and palm oil are poured into your coffee, yogurt or cereal to make you feel full. "The problem with these suppressants is they're not tested regularly like medication," says Kovacs, "and not even a lot of suppressants work. Fiber can help fill you up. Why not have an apple with your coffee, instead?" LOTION POTION: Whip your beauty products into shape. A couple of drops of Clarins Body Shaping Supplement ($74 at www.nordstrom.com) streamlines your lotions and moisturizers with plant extracts and caffeine to add powerful shaping action to your skin-care routine. "It appears to be a quick fix," says Hobday. "I don't think you're going to see a whole lot of difference." 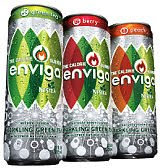 CALORIE-BURNING DRINK: Enviga ($6 for a six-pack at www.gerritysdelivers.com), the sparkling green tea mixed with caffeine and antioxidants, advertises that it's proven to boost metabolism and burn an extra 60 to 100 calories a day. "The one thing that can boost the metabolism is muscle," says Kovacs. "Have you gone on their Web site? Is there a disclaimer?" We did and there is: "Weight loss requires a reduced calorie diet and regular exercise." EATING IN THE DARK: Eating in a dark room encourages you to eat more, studies show. Distracted diners also tend to eat more, so turn off the TV and the radio, or you won't notice how much food you're shoveling in. This may actually be legit, as "there is research to support it," Kovacs says. "Light, temperature, noise and atmosphere really influence how you eat." Adds Hobday, "Eat slower, notice the flavors, and be more tuned in to when you're full."